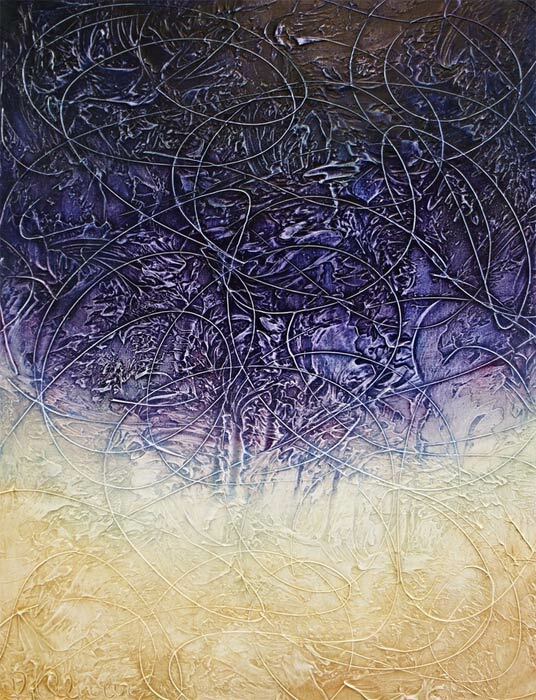 An exhibition displaying works by three U.S. abstract painters are currently underway at Tehran’s Ovissi Gallery. Thirteen works by Sheila Rice, Fernando DeOliveira and Brian Xavier will be on display until December 17 at the exhibit. “My work is about the flow of joy and consciousness that animates my inner world,” DeOliveira wrote in a catalogue for his exhibition, which was held at the Alternative Art Space in Boston from December 2 to 7. “I am an emotional person who believes that we can meet through art, and my art attempts to share my emotions and perceptions with each viewer in a very personal, intimate way,” he added. Ovissi Gallery is located at 7 Azar Alley, Nateq-Nuri St., Gol-Nabi St., Pasdaran Ave. The works are scheduled to another exhibition, which will open at Tehran’s Sheis Gallery on December 18. The exhibition will run for five days at the gallery, which can be found at 10 Shirzad Alley, near Daneshju Park, Vali-e Asr Ave. This entry was posted in Culture, USA and tagged Art, International, Iran, Photos, Tehran, USA on December 15, 2014 by socialinform.